For the longest time, I stayed away from using beauty oils because I felt it was somehow counterintuitive given that I had oily skin. But after much research I found that most oils work to heal and nourish your skin. I am a huge fan of Marula and Coconut oil and now I am adding Rosehip oil to mix. Here are 5 essential beauty benefits that may have you wanting to incorporate Rosehip to your routine. 1. Helps in fading scars. Ancient Egyptians and Mayans were known to use Rosehip for its strong healing properties. Add a little of rosehip to any scar or hyperpigmented area and with time and consistency most scars will begin to fade. The fatty acids (i.e. Omega 6) in Rosehip work to correct and hydrate the skin. 2. Treatment for Scalp and dandruff. Massage warm Rosehip oil into the scalp for 20-30 minutes and then wash out oil. The rich antioxidants will will instantly revitalize your mane and help combat an itchy and dry scalp. 3. Nourishes dry brittle nails. 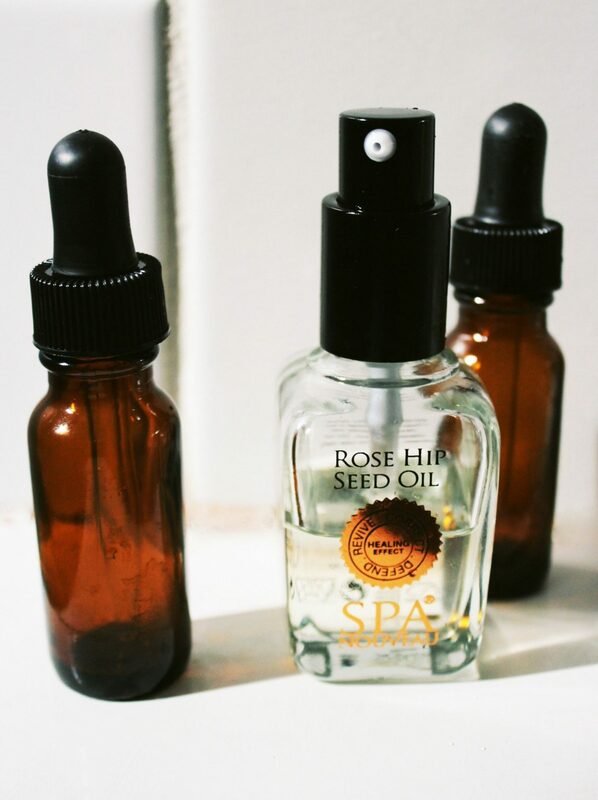 Once a week massage Rosehip oil on your nails and cuticles to strengthen and repair your nails. The key ingredient is the high level of vitamin C found in Rosehip. Say goodbye to brittle nails with this little miracle oil. We have all heard of aloe vera but applying Rosehip oil is great for soothing a sunburn. The oil gently aids in the healing process and helps to reduce inflammation.